As pathetic as it sounds, it took longer to write up the summary for this story than it took to actually post it. Hey, some things defy truncation. Anywho, this book is set generally around the events of volume 15 of the novel series (if you’re not at least familiar with what happens, you might want to fix that), mainly focusing on gag the first half, and a Luke-centric story about him and Millena in the second. Man, I love novel-based doujinshi. Edited by Tom the Mighty, translated and typeset by yours truly, and scanned by Melfra. Go forth and read! 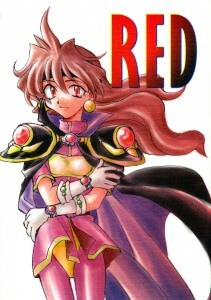 2 Comments on "The Twelve Days of Doujinshi, day four: Red"